When it comes to snacks, Americans are puttin’ on the Ritz. Although it’s nearly 80 years old, the basic buttery Ritz cracker is still the favorite salty treat in the United States, a new poll found. The round staple of Mad Men-era dinner parties beat a list of chips and crackers that included Lay’s potato chips in second and Doritos in third. “[Ritz] have durability and predictability,” said Drew Kerr, spokesman for YouGov BrandIndex, which ran the survey. “People take comfort knowing their snack will be in one consistent shape, and Ritz certainly personifies that. GOLDEN OLDIE: Aga-ta Ratajczyk of the East Village with the top US snack food. Fourth and fifth were Fritos corn chips and Orville Redenbacher popcorn. The poll found a split between the sexes — men prefer Doritos while women go for Redenbacher. The top five snacks remained unchanged from last year, though there were some notable brands that made moves on the list. Kettle Chips reached No. 14 this year. “Anything ‘kettle’ has grown very popular in the past few years, implying a style of cooking that is ‘natural’ and ‘fresher,’ especially using the trendiest of ingredients, sea salt,” Kerr said. Jaime Hoerbelt is social media strategist, tenthwave. Who’s controlling your brand message? Recent high-profile Twitter blunders from Progressive Insurance and online store CelebBoutique underscore the challenges of outsourcing your voice as a brand. Not too long ago, every brand communication was painstakingly crafted in a boardroom or executive suite. Now, in the age of social media, control of a brand’s message can be in the hands of countless social media experts, consultants, freelancers, or even interns. They’re communicating with consumers multiple times a day on Facebook and Twitter, which raises two problems: maintaining consistency in an integrated marketing plan -- especially when social media is outsourced to social media agencies or consultants -- and establishing an authentic brand voice that can keep up with the consumers’ demands for unlimited access. Unlike most other media channels, your brand voice in social media must be flexible -- you have to appeal to fans on an individual level and respond quickly to their comments. The challenge is maintaining a consistent tone while still being timely and multidimensional. There are several ways that brands try to stay true to their voice -- with varying degrees of success. The first way that brands have established to adjust their communications is by working with a social media agency, which handles all of the daily interaction with consumers. The second way is by creating an internal department to handle all of the social media communications. The third way is a hybrid between the two -- the brand has a social media team internally but works with an agency in creating concepts and execution. The first two approaches are fairly common, but have their drawbacks. On the plus side, an internal team has instant access to customer service, public relations, and legal resources to answer questions and draft appropriate messaging. However, the internal department may lack expertise in with managing multiple diverse communities, analyzing the latest methods in benchmarking and measuring ROI, and often the awareness of what other brands are doing to push the envelope. The third approach is ideal because it combines the talents of both the brand team and the social media agency. Brands that do this successfully often keep certain aspects of community management in-house, like customer service, but rely on the social media agency to help set benchmarks, to increase engagement, or to come up with campaign ideas. For example, an agency and a brand will work together in the real world by splitting up certain social media tasks and joining forces on others. Customer service and public relations are owned by the brand. Social media strategy and campaign concepts are created by the agency. The editorial calendar is written and published by the agency, but establishing what trending topics are brand appropriate, deciding which products to focus on and defining social media objectives are ultimately up to the brand. This collaborative process allows for the best balance of expertise. It’s easy to fall into standardized, robotic messaging to keep a brand’s communications in check. However, fostering fluid conversations with consumers gives the brand more power than it takes away. Consumers can spot the difference between a company that is passionate about speaking to them and one that is afraid. They will rally behind brands that they can make a more meaningful connection with -- and rally against ones that sound like machines. One brand that is doing a great job of balancing control and authenticity is Four Seasons Hotels and Resorts. This hospitality chain successfully encourages regular engagement among fans without sounding repetitive or formulaic. When a fan posts about how great her stay was, Four Seasons asks for photos from her trip. When another fan asks where he should stay in Canada, the chain offers smart, timely advice. Not only is Four Seasons sparking engagement, it’s encouraging sales in a natural way that doesn’t speak down to the consumer. Four Seasons positions itself as a resource for brand-loyal travelers -- a valuable network of people to be communicating with regularly. The lesson is clear: It’s no longer enough for a brand to use social media purely to push out commercial messaging. Today, corporate entities must put systems in place that invite genuine two-way communication with consumers. They also must ensure that the communication is true to the brand and sounds personal. A brand can do both by collaborating with a social media agency and holding its voice to same standards as their customer -- their Facebook fans and Twitter followers. 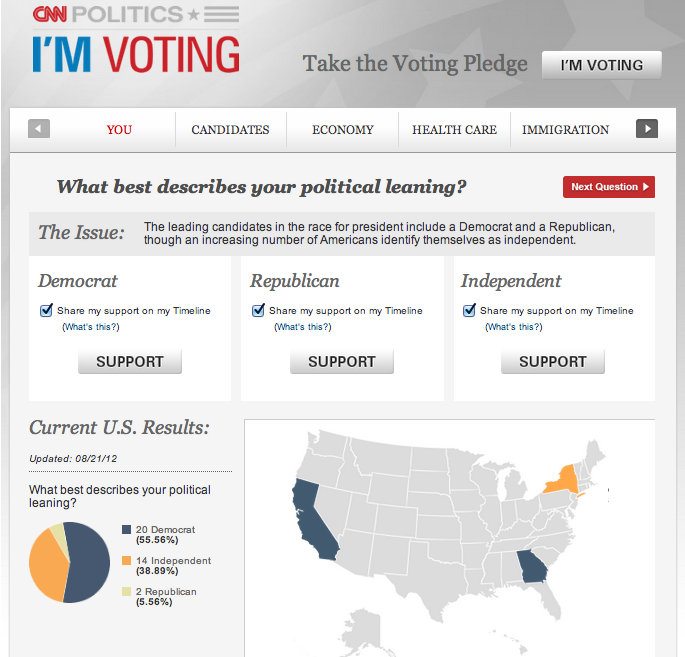 Working with Facebook's public relations department and collaborating with my client, we were able to get huge play for Tenthwave and their work on Facebook/CNN's new voting app, "I'm Voting." This included negotiating prominent play for Tenthwave in Facebook's blog post on the launch. Want to wear your political allegiance proudly on your Facebook profile this election season? You’re in luck — Facebook and CNN have released an app helping Facebook users easily share their stances on the candidates and campaign issues with the power of Facebook’s Open Graph. When users first load the app, they’re asked to commit to voting on Election Day. If they do, they can share that commitment to their friends’ news feeds, perhaps creating some peer pressure to get others to vote as well. Then, users can answer a series of questions about their political leanings, favorite candidates and stances on various issues, including the economy and healthcare, the responses to which can also be shared with friends in their newsfeeds and tickers. Users can also choose to have their answers anonymously gathered by the app, creating a wealth of social data about Facebook users’ political leanings organized on a state-by-state basis. Any user can access that data on the app’s interactive map. Additionally, CNN will treat the app as a “second screen” experience for its politics coverage, asking viewers to submit answers to questions via Facebook and referencing users’ posted opinions throughout the election. The app, which can be accessed here, is available in both English and Spanish-language versions. Facebook's "U.S. Politics" blog post announcing the launch of "I'm voting." Former Speaker of the House Tip O’ Neill used to say that all politics is local. Today all politics is social – and the 2012 campaign is shaping up to be most social in history. With that in mind, Facebook and CNN are thrilled to launch the “I’m Voting” app -- an interactive and uniquely social tool that will make it even easier for the people who use Facebook to make their voices heard this election cycle. The app, created by platform developer and digital marketing agency Tenthwave Digital, allows users to both make a commitment to vote, and to choose the candidates and issues that matter most to them – the economy, health care, immigration, foreign policy (see screenshots below). Social by Design -- The app is social by design, helping people see where their Facebook friends stand on certain issues. The Open Graph enabled app allows people to keep their views private or share with friends through Facebook Timeline, News Feed, and real-time Ticker. Visually Engaging – The app lets people see how many of their Facebook friends have joined them in supporting particular issues or candidates – and those commitments are displayed on an interactive map. Mobile and Second Screen – The app, which is available on mobile and desktop devices, will serve as a “second screen” for CNN’s on-air and online content. CNN will utilize the app to ask Facebook users about the important issues driving the national dialogue, and then report on their answers. English and Spanish – The app will be available in both English and Spanish in an effort to reach and engage a broad community. Tenthwave Digital previously collaborated with Facebook on deep interactive experiences like “Stop Bullying: Speak Up,” and “A Nation Gives Thanks” -– an app that honors the contributions of the U.S. military. With Election Day right around the corner, it’s time for everyone to get involved, understand the issues, and make a commitment to participate. We believe that the power of friends – the social dynamic that creates a societal impact -- will result in a more involved citizenry that turns out on Election Day, informed about the most critical issues facing the nation. 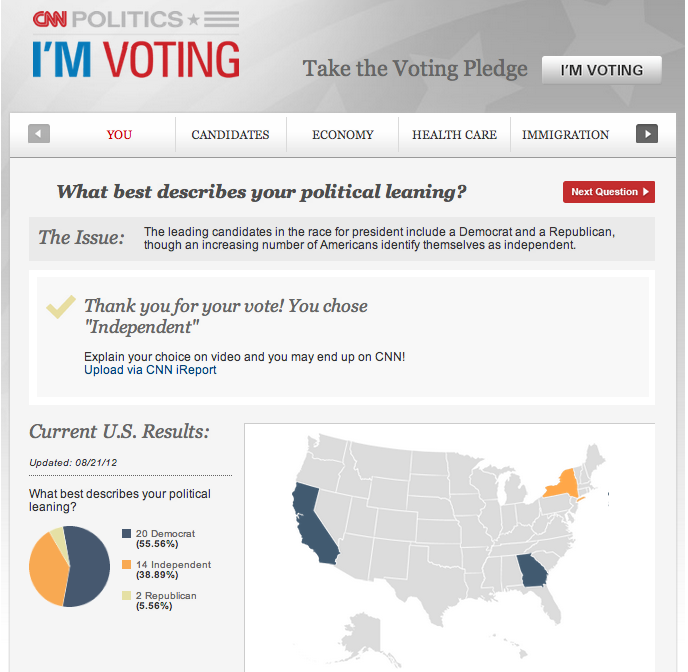 ALLFACEBOOK - "Facebook, CNN Launch I'm Voting App." 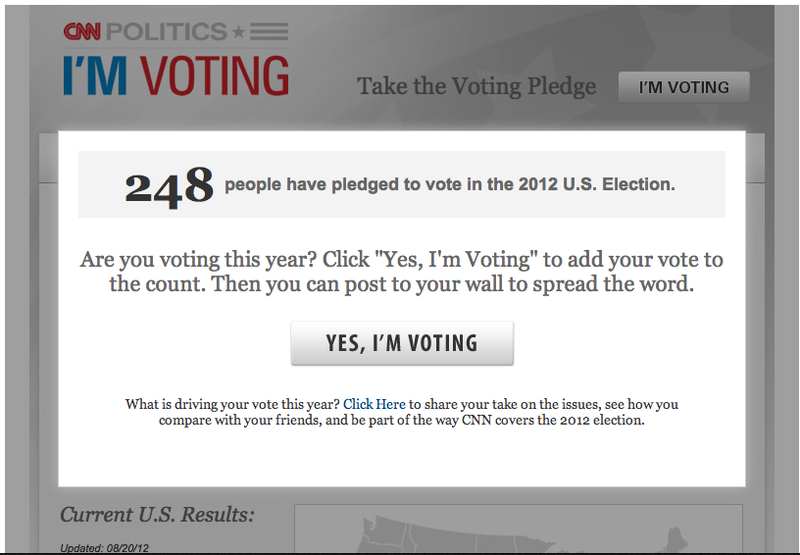 THE NEXT WEB: "Facebook and CNN launch 'I'm Voting' App.'" I orchestrated the breaking of Bloomberg Markets' second annual ranking of the richest family offices to London and US media which cover family wealth, including two articles in Campden FB (Family Business). 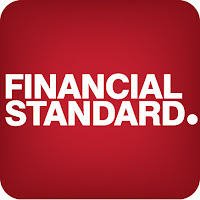 HSBC Private Wealth Solutions, part of UK/Hong Kong-listed HSBC, has retained its title as the world’s number one family office business in terms of assets under advisement, according to the second annual ranking of the sector by Bloomberg Markets. The ranking, which features in the September issue of Bloomberg Markets magazine, puts HSBC Private Wealth Solutions’ AuA figure at $123.6 billion, derived from 297 client families. Importantly, the business has grown its AuA by 21 per cent year-over-year, putting it in fifth place in terms of greatest year-over-year growth. In the 2011 ranking HSBC Private Wealth Solutions recorded $102 billion in assets under advisement. Turning back to the rest of the top five for 2012, Chicago-headquartered Northern Trust was ranked second, with an AuA figure of $90.0 billion and 4,101 client families, while BNY Mellon Wealth Management came third with $64.5 billion in AuA from 424 client families. Rounding out the top five were Bessemer Trust ($62.4 billion in AuA from 2,100 client families) and Geneva-based Pictet ($57.3 billion in AuA from fewer than 50 client families). Just outside the top five was Switzerland’s UBS Global Family Office, which recorded £37.3 billion in AuA and 125 client families. The private banking arms of large financial institutions dominate a list of firms managing the money of wealthy families, but independent wealth managers are showing the fastest growth. That’s according to new figures from Bloomberg Markets magazine, which says HSBC Private Wealth Solutions manages $123.6 billion (€100 billion) – an increase of 21% year on year – for 297 families, while BNY Mellon Wealth Management saw assets under advisement fall 1% to $64.5 billion. This compares to growth of 36% to $3.6 billion at independent US firm Signature – which saw the greatest rise in assets under advisement. Under Bloomberg Markets’ definition, both private banks and independent firms were classed as family offices – so long as they offered “comprehensive investment and non-investment services” to wealthy families. Single family offices were excluded – when asked why, Bloomberg Markets did not respond. Private banks made up nine of the top 10, found the research, published in the magazine’s September issue under the title The World’s Richest Family Offices. Over 115 firms responded to a survey, carried out using a database of 1,000 firms worldwide from the Family Office Group. There were some notable omissions, including the UK’s Fleming Family & Partners, which manages about £4 billion (€5 billion). The smallest firm on the list was Texas-based Tolleson Wealth Management with $2.4 billion in assets under advisement. The research said a number of those on the list, including UBS Global Family Office, were working hard to get clients in Asia by sitting up new units or expanding services. However, no Asian firm or bank made Bloomberg Markets’ top 50 – which was ranked by assets under advisement. The smallest offices on the list in terms of families were Seattle-based McCutchen Group with AUA of $5.2 billion for four families, Geneva’s 1875 Finance managing $5.1 billion for three families and Boston-based Bollard Group with $2.6 billion for eight families. The research ranked 1875 Finance as the top firm by assets per family ($1.7 billion per family on average), followed by McCutchen Group ($1.3 billion on average) and Geneva-based Pictet ($1.1 billion on average). 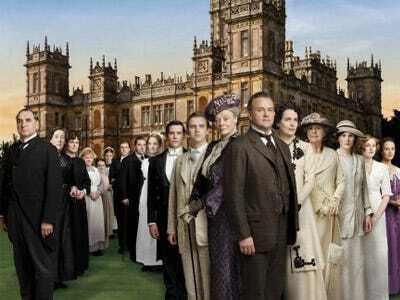 Bloomberg Markets Magazine ranked the top firms that manage money for the wealthiest families. Many of the top multifamily offices are associated with banks, while others are independently operated. And, many of these money managers offer services beyond just traditional investments and taxes — we're talking about anything from family therapy to preempt any conflicts over cash to money training for the kids. If you're going to invest billions, you might as well get your money's worth, right? Thanks to Bloomberg Markets Magazine for giving us permission to run their list. Boutique multi-family offices are outgrowing bank-affiliated organisations worldwide, according to a Bloomberg Markets study. Of the top 10 fastest-growing firms ranked, only HSBC Private Wealth Solutions was part of a big bank with the other nine on the list boutiques. The boutiques operate with generally smaller margins but offer a range of services from tax advice and governance to managing bill payments. By size alone however, the family office units of banks still dominate with nine of the top 10 bank-affiliated. HSBC Private Wealth Solutions comes in at number 1 in terms of total assets under advice with US$126bn as at December 31. In second place is Chicago-based Northern Trust Corporation with US$90bn followed by BNY Mellon Wealth Management with US$64.5bn. According to Bloomberg, boutique family offices question both the big banks' level of service and their motivation, claiming banks are often too eager to sell their own hedge and mutual funds creating an inherent conflict. Last year a US federal judge ordered Citigroup to pay two clients US$54.1 million for losses in a hedge fund that borrowed billions in an effort to extract higher yields from municipal bonds. The fund had been pitched to Citi's private-banking clients as a safe bond alternative. Bloomberg quotes the Harvard Business School Families in Business program chair as saying multifamily offices have been trying to figure out a profitable business model for a couple of decades and are now seeing the limits of providing a lot of services. In the US however boutique family offices are already attracting buyers, with asset manager Affiliated Managers Group recently buying a stake in a Pennsylvania-based family office firm for an undisclosed sum. Wealthy families are increasingly demanding more services than just investment advice from multi family offices, with governance skills becoming sought after. That’s according to Anthony Effinger, the author of a recent report on MFOs for Bloomberg Markets – which found that a “huge emphasis” is being placed on governance. “The most striking thing was the emphasis on governance this year, and on services aimed at keeping the younger generations from making the mistakes that come with immense wealth,” he told CampdenFB. 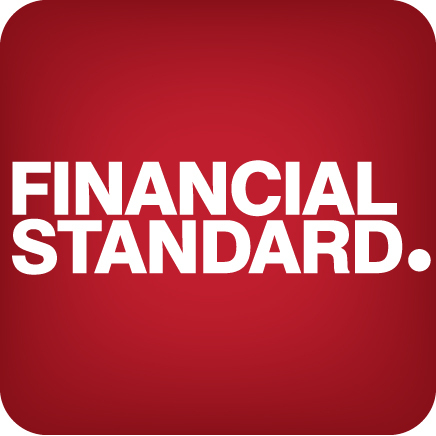 Family offices are responding by putting more weight on non-financial services – the very things that they believe “set them apart” from banks, he said. The report cited the example of a “money camp” run by US-based MFO Financial Management Partners, which gave children aged six to 11 classes on being rich. The move appears to be paying off – according to the research, of the fastest growing wealth advisers to rich families, nine out of 10 were independent firms. HSBC Private Wealth Solutions was the only bank listed as growing quickly. Although it is “easier to grow quickly” when you are small, Effinger said it wasn’t just down to size – the research found that “there remains significant distrust of big banks among some clients”, particularly when it comes to product pushing. On Wednesday, Trojan started handing out free vibrators from a hot dog cart—dubbed “Pleasure Carts”—on the streets of New York. The company planned to give away 10,000 on Wednesday and Thursday, updating the location of the carts via the brand’s Facebook page. However, the city of New York shut them down before they reached that goal, indicating Trojan had not acquired the proper permits. According to that New York Times story, the retail value of the 10,000 vibrators that garnered all of that attention is $350,000—peanuts compared to the $10.5 million it spent advertising its products in 2011. New York-based PR professional Drew Kerr, who called this the summer’s best public relations stunt, said the marketers at Trojan deserve a bonus for the success of the giveaway. “I've always said that one of the best kinds of PR stunts is getting a long public line to form, and in this, Trojan succeeded,” he wrote on his blog. When Apple released its “Genius” ads during the Olympics late last month, some Mac fans were not impressed. But one firm that tracks brand perceptions thinks Apple had good reasons for the campaign. Unlike Apple’s typical ads these days, which exude cool and show off what their devices can do, these 30-second clips placed an Apple tech support employee from its retail shops in some extreme situations while helping his customers, such as having to create a movie minutes before a plane lands. Those familiar with other Apple ads were surprised by the more conventional “we’re here to help” approach. A particularly harsh reaction came from Ken Segall, whose LinkedIn profile says he worked for an ad firm on Apple’s “Think Different” campaign. “These ads are causing a widespread gagging response, and deservedly so,” he said in a recent blog post. He wrote that the company’s previously successful “Mac vs. PC” campaign–in which comedians John Hodgman and Justin Long play-acted a PC and Mac talking to one another–were largely successful because they spoke to would-be customers and galvanized the Mac faithful. These new ads, in his view, did not. “I honestly can’t remember a single Apple campaign that’s been received so poorly,” he said. So what was Apple thinking? YouGov’s BrandIndex, a daily tracking and survey service, thinks the answer might lie in shifting demographics. The service noticed that beginning in May of last year, the popularity of Apple’s brand began to grow among those 35 years old and up. By October, BrandIndex said Apple’s popularity among that demographic had grown to its highest level in at least four years. From early 2008 through mid-July 2011, by contrast, Apple scored higher with the 18-34 age group, the firm said. The increased popularity among older consumers could have influenced Apple’s decision to put out the “Genius” ads, BrandIndex said. “It appears that the 35+ demographic, which includes Boomers 50 and over, may need more product hand-holding than the younger group–hence the Genius,” BrandIndex said, adding that Apple’s decision to run the ads during prime-time Olympics coverage, where the audience is easily over 35 years old, made sense as well. Such a strategy would seem a pretty sharp departure for Apple, which is not known for targeting ads at different audiences. Its print ads for the iPhone 4S, for example, are pretty much the same from publication to publication, and its television ads tend to be the same across any channel they play on. An Apple spokesman said the company doesn’t discuss its marketing. Whatever the Cupertino, Calif., tech giant’s thoughts or reasons for running these “Genius” ads in particular, they overwhelmingly succeeded in one way: they got people talking about Apple. The Olympics, it would seem, can turn an advertiser's reputation from tarnished to sterling. BP, the widely vilified oil company whose reputation took a drubbing in 2010 for the Deepwater Horizon spill in the Gulf Of Mexico, has seen negative perceptions of its brand reversed during the first part of the Olympics, according to a survey conducted by YouGov BrandIndex. YouGov BrandIndex interviews 5,000 people each weekday from a representative U.S. population sample, conducting more than 1.2 million interviews per year, according to the company. Respondents are drawn from an online panel of more than 1.5 million individuals. The margin of error is plus or minus 2%. For its survey on Olympic-advertiser perceptions, YouGov asked respondents, "If you've heard anything about the brand in the last two weeks, through advertising, news or word of mouth, was it positive or negative?" It derived scores ranging from 100 to -100 by subtracting negative feedback from positive. A zero score means equal positive and negative feedback. BP saw its score go from a negative 5.9 in the week prior to the Olympics to a positive 2.6 during the first week of the games. Only Visa saw its brand perception rise more during the time period, according to the research. "We have seen the recovery with BP over the last year and a half," said Ted Marzilli, global managing director for YouGov's BrandIndex service. "But I think its association with the Olympics is showing benefits." Meantime, some Olympics advertisers are seeing a decline. General Electric, Holiday Inn and BMW have seen brand perceptions decrease by small amounts. Samsung and Coca-Cola are enjoying the most positive receptions, according to the survey. My media placements throughout major digital media, trades and blogs generated record-breaking web site visitors for research firm client YouGov BrandIndex in the month of July. The last record-breaking month for web traffic generated by press was January 2012. Most of the press was generated by the mid-year brand rankings and my quick turnaround drawing up the research and chart for the Chick-Fil-A controversy. All the Chick-Fil-A consumer perception charts that appeared in the press (and viewed in the correct links below) were created by me. Bloomberg News: "Bipartisan Consensus Here: Jared!" Politico: "Bipartisan heroes for sale at Subway." AOL Daily Finance: "10 Surprising Brands That We're Starting To Love Again." USA Today: "In gay marriage, some companies take a stand." Huffington Post: "The Top 5 Most Buzzed About Quick Service Restaurants for the First Half of 2012." Washington Post: "Republicans killing Chick-Fil-A with kindness." The Atlantic: "The Midwest Won't Abandon Chick-Fil-A." Nations Restaurant News: "Chick-fil-A's consumer perception rating drops amid controversy" and "Subway tops consumer perception ranking." Business Insider: "The Top 10 Brands of 2012" and "Guess Which US Region Liked Chick-Fil-A More After The Anti-Gay Controversy." Brands and retailers have always supplemented marketing plans with promotional games, contests and sweepstakes. The most-popular loyalty programs use points and group mechanics to reward and motivate the most-valuable audiences. Now it's time for the next level of play: gamification of the shopping experience in retail, consumer packaged goods and e-commerce. We call it "shopification." This means inserting game dynamics into shopping behaviors to make thinking about shopping a regular activity that puts products top of mind and makes the shopping experience more rewarding. What motivates the gamer inside us? Solving meaningful challenges, gaining and demonstrating status, getting special access and expressing individuality. Those same motivations are embedded in the culture of shopping, and we're finding new ways to unlock those motivations in shoppers. How does this look in practice? One example is a campaign by Birds Eye and Birds Eye Voila! in which the brands are rewarding website members with badges, points and coupons for participating on the site and in its social activities. Included is a "Here's One, Share One" program, where members received a coupon for themselves and an additional one to share with a friend on Facebook. During a 10-week launch, which is nearly complete, Birds Eye expects to distribute the same amount of coupons as a traditional national insert, but with the new-media benefits of improved customer relations and countless brand mentions and referrals for its products. These sorts of techniques have five big advantages over traditional coupon marketing. 1. Through social-media outreach, we can distribute the same amount of coupons as with a traditional free-standing insert -- many times at a higher redemption rate -- with little effort and no required media costs to the brand. 2. We can put the brand message, product idea or discounts in the hands of highly targeted consumers, based on demographic, interest, geographic and behavioral triggers. 3. As opposed to the singular anonymity of the traditional coupon-clipping experience, the engagement that accompanies shopification rewards consumers for taking desired actions such as sharing coupons, learning about a product or making recommendations. It makes the brand and the coupon more valuable, through that trusted referral. 4. As downloading the coupon can require being a fan, follower or member of a customer-relations management (CRM) program, shopification can dramatically grow your brand's Facebook following and CRM databases. Every coupon distributed through shopification tactics can minimally equal a fan or CRM member. And every fan or member should mean hundreds of branded impressions and program activations per year. 5. Unlike traditional programs, the sharing generates branded message impressions for those who do not participate, when they see their Facebook friends' activity. The best part is that the message being shared isn't "our brand is discounted." It's an endorsement of your brand by their friend, accompanied by a gift they will feel more obliged to try. Shopification tactics for many brands will not provide as immediate a gain as the quick free-standing insert, but that can change easily if they are dedicated to growing a social following. As the community grows and becomes engaged with a brand by participating in fun and rewarding social games, agencies will be able to deliver immediate results with zero lead-time, no media investment and no required effort other than directing customers to act and download. Even at a smaller scale, the value of shopification does not end in the weeks following the activity. With the additional Facebook fans and CRM members gained, the brand has hundreds of opportunities a year to remind shoppers about its products' benefits and uses. This can drives purchase frequency, friend recommendations and customer trials for years to come. It's impossible to predict how shopification will look in five years. But it's hard to imagine a future for brands without it. Eric Schwamberger is partner-strategic services at Tenthwave. How one NYC agency helped Google collect and index its 114,000 Doodle4Google submissions. Last week, Google announced the winner of Doodle4Google, the company’s annual contest that solicits drawings from students in grades K-12. After collecting 114,000 submissions from kids all over the country, Google and some guest judges–including Katy Perry and Jordin Sparks–selected Wisconsin 2nd grader Dylan Hoffman as this year’s grand prize winner. “We opened some of them and glitter went flying,” Sheri Westfal, the senior VP of Tenthwave, a digital agency located in Manhattan, told Betabeat with a laugh. For its fifth annual Doodle4Google contest, Google chose Tenthwave to collect, scan and build software that could easily cull and categorize the kids’s submissions. This wouldn’t seem like a big deal, except that all of the submissions were delivered via snail mail, so they had to be physically scanned and entered into the computer system before they could be catalogued. “The mailmen loved us, the Fed Ex guys all loved us. There was one day we got 40 buckets of mail!” she added. The team at Tenthwave had to comb through the thousands of submissions and disqualify any that had used a logo or anything trademarked, as that was against the contest rules. Then they scanned the submissions into a computer program they built that allowed judges from all over the country–including Googlers, Tenthwave employees and the celebrity judges–to access submissions at the same time. They also built a safeguard so that Googlers could catch problems with submissions that the Tenthwave team hadn’t noticed. The drawings revolved around the contest’s theme, but their subjects ran the gamut. “We got lots of dinosaurs,” Ms. Westfal added. The Tenthwave team started on the Doodle4Google project back in the fall of 2011, but the contest didn’t begin until January and didn’t end until March. Ms. Westfal said that people would come to the Tenthwave office in Melville just to drop off their doodles. In the end, 50 state winners were picked, and Mr. Hoffman was named the national winner. This might just be our jealousy speaking, but the winning drawing does seem curiously professional for a 2nd grader. But don’t worry, skeptics: Ms. Westfal assured us that all winning entrants must sign a document where they legally attest that a child did the drawing.